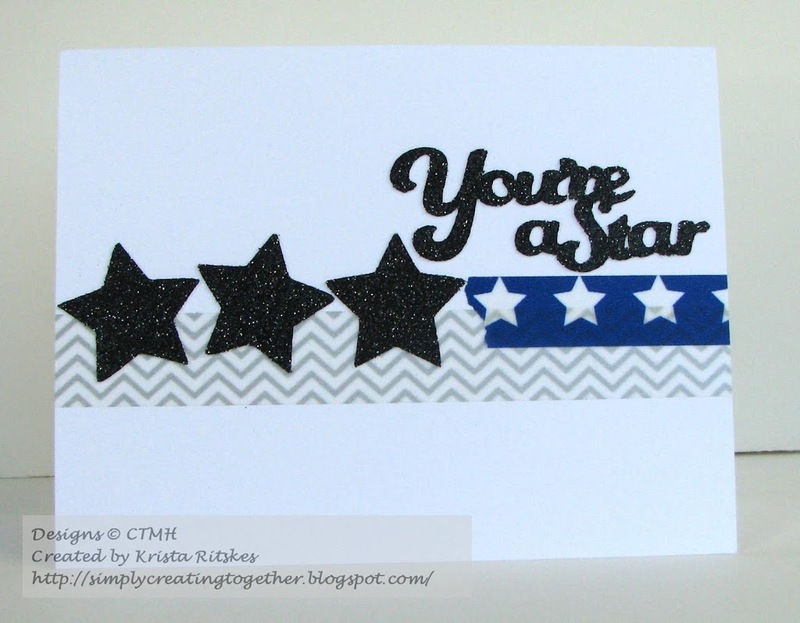 I decided I was going to use some of my vast supply of Washi Tape for this card. I have collected quite a few, but seldom use it. Not anymore! 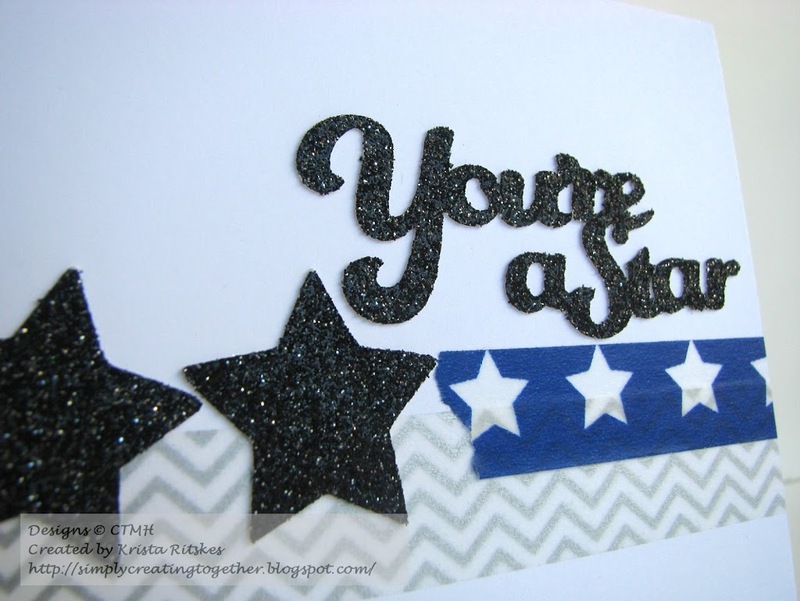 I cut the stars and the sentiment from Black Glitter paper with the Artbooking cartridge. Totally loving the glitter paper lately! The sentiment was actually melded together in Cricut Craft Room. Here’s a close up of the glitter. It’s based on the same sketch, but very loosely. 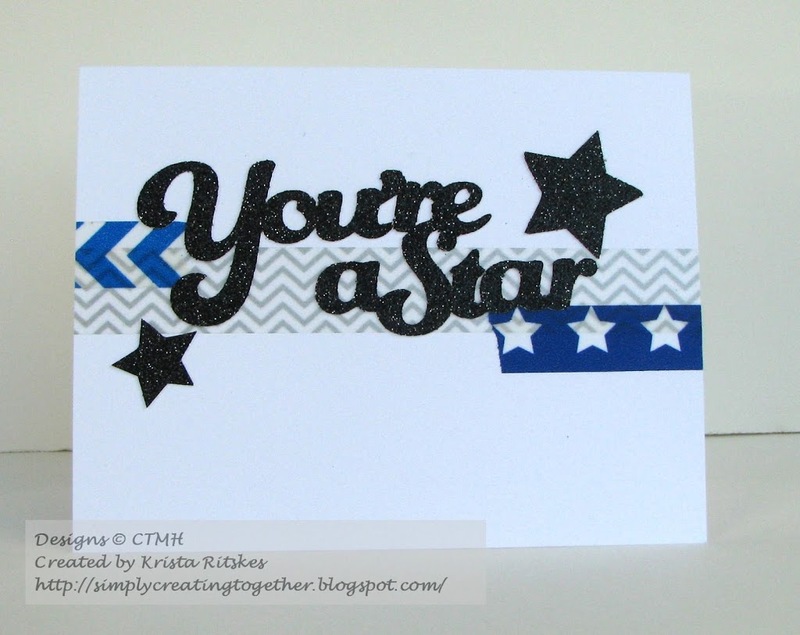 I trimmed down my last star so it would look better on the card. Now, what are you waiting for? Get creating and link up at Atlantic Hearts. You might just win a top three! I love that you used Stars, this is just fantastic. I love, love, love it. LOVE LOVE LOVE Washi Tape!!! 🙂 Great card – now I want to go and play with my washi tape!